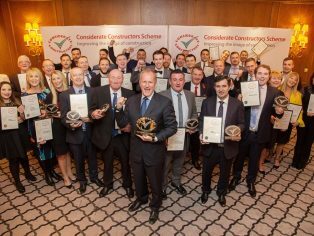 The Considerate Constructors Scheme – the national scheme established by the construction industry to improve its image – has honoured the Most Considerate Companies and Suppliers at this year’s National Awards. Four companies were presented with the coveted top award of ‘Most Considerate Company 2017’, they are: CR Civil Engineering Ltd (annual turnover: £10m and over); Elev8 Interiors Ltd (annual turnover: £3.5m to <£10m); Clearly Renovations Ltd (annual turnover: £250k to <£3.5m) and Sheene Contract Solutions (annual turnover: Under £250k). TCi (GB) Ltd triumphed as the ‘Most Considerate Supplier 2017’, making them the second registered supplier to win this prestigious title since Supplier Registration was introduced in 2014. The award ceremonies took place on 2 and 3 November at the Four Seasons Hotel in London. In total 22 Gold, 37 Silver and 55 Bronze Awards were presented to registered companies, while 3 Gold and 5Silver Awards were presented to registered suppliers. 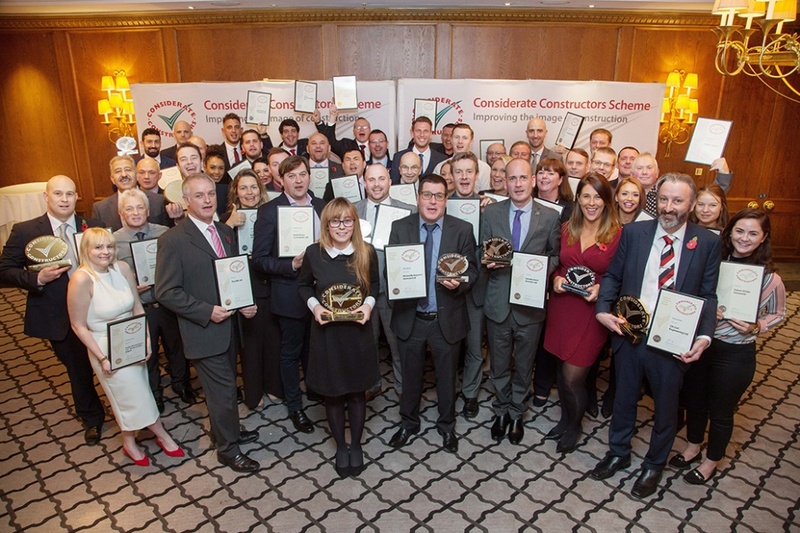 Of the Gold Award winners, 10 shortlisted companies received the ‘Most Considerate Company Runner-up’ title and two suppliers received ‘Most Considerate Supplier Runner-up’. CR Civil Engineering Ltd is based in Leicestershire and works throughout the UK carrying out a range of construction services including highways, rail and flood defence projects. This highly considerate team was clearly focused on minimising community disturbance and carried out many goodwill and charitable acts in the neighbourhood. 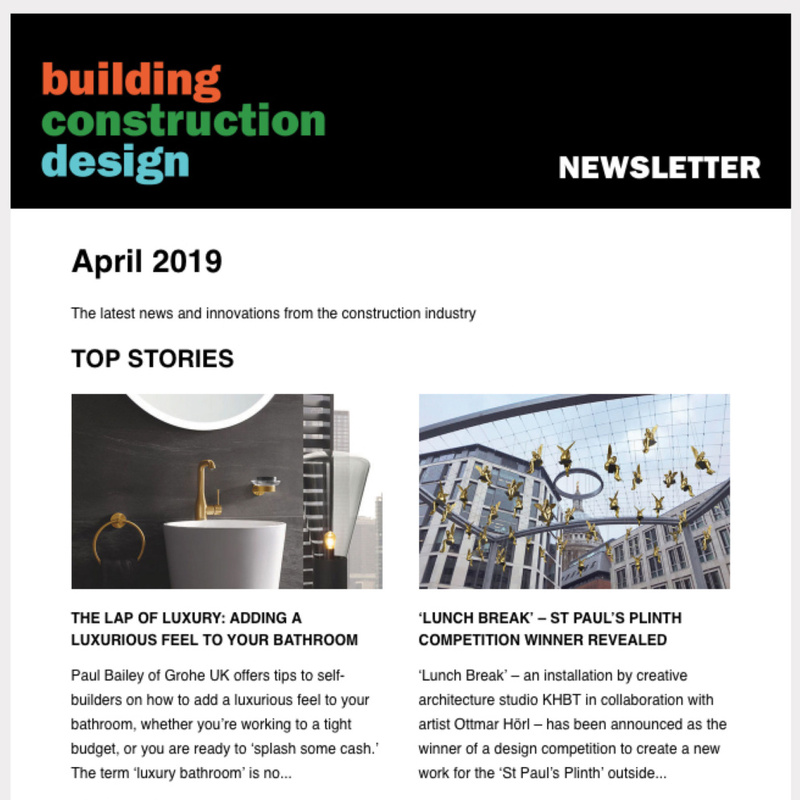 Elev8 Interiors Ltd is a family-owned business in West Ealing, specialising in building refurbishments, high end residential, commercial work and construction management consultancy services. 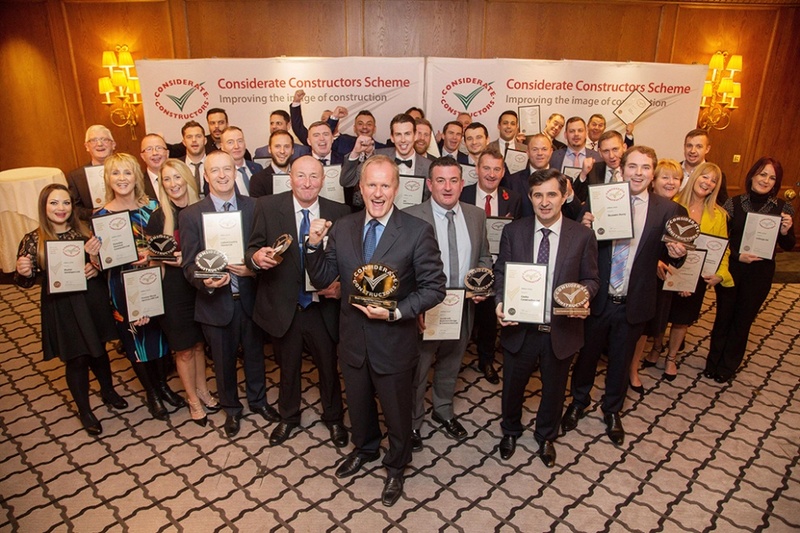 Elev8’s relentless commitment to pushing the bar in considerate construction has resulted in a number of Scheme National Company Awards, since they first registered with the Scheme seven years ago. Established for more than 12 years, Clearly Renovations has specialised in high-end residential refurbishments, renovations and alterations in London and the southern counties. Clearly Renovations was highly commended for its innovative approach to branding, using its ‘Clearly’ slogan for a range of meaningful campaigns and initiatives. Based in Canterbury, Kent, Sheene Contract Solutions works typically with large retail outlets and uses specialist teams including fitters, welders, carpenters and electricians to install specialist catering equipment. This company was praised for its unique operative feedback questionnaire which ensured complete client satisfaction. TCi (GB) Ltd, whose head office is based in Bideford, Devon, was highly praised by the Scheme for its innovative collaboration with a local furniture manufacturer to produce cardboard workstations as part of an integrated waste management initiative. 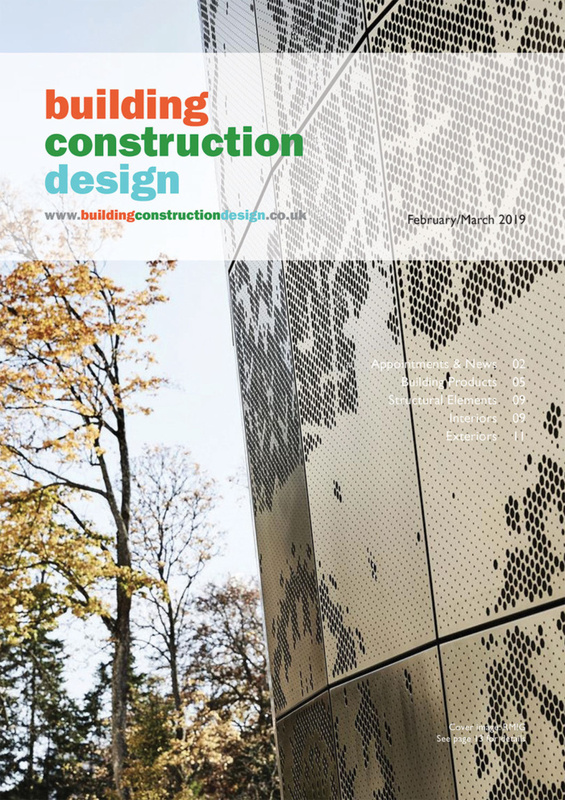 “Each year, the Scheme is amazed by the increasingly innovative and ingenious ways that companies and suppliers devise to elevate their levels of consideration to the community, workforce and environment. “On behalf of the Scheme, I would like to offer huge congratulations to all of this year’s award winners who have worked extremely hard to raise standards of consideration, both within their own organisations and for the good of the entire industry. Click here to see each of the winners in the categories of Runners-up to the Most Considerate Company Award, and Runner-up to Most Considerate Supplier Award, as well as each Gold, Silver and Bronze Award winner.